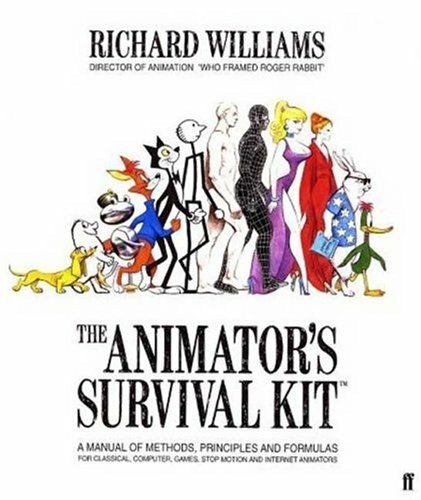 Looking For A Book on Animation? Try the Library! Seriously, go to the library! I found that in recent months, I was becoming a bit consternated with the number of books I wanted to read. The reason this is so is because I was concerned about the rather daunting amount of money it would cost to read them all. You figure $10-20 for a book isn’t too bad until you add it all up and realise that for your $100 you got only 5 or so books. Yes, it is possible to go used, but you are still spending hard earned cash. The main sticking point for me was not so much the price, it was that I just wanted to read the book, not necessarily won it. So last Saturday, when I had a bit of free time in the afternoon, I decided to wander on down to the local library. Now I hadn’t been in a library outside of school in about 10 years or so; the result of outgrowing the children’s section, lack of time and a general lack of interest. I used to love going to the library every Friday evening after school with my sister. I never stopped loving books, it just seemed that the library, as a source of books, slipped further and further down my list. Well, now it is right back up at the top! Why you ask? Well for one, why pay $20 for a book when you can borrow it for free? The nature of libraries today is such that it is possible to obtain practically any book you could imagine. The existence of inter-library loans means that you can request any book, and if your local library doesn’t have it, there’s a good chance at least one other one in the country will. The cost of this wonderful service is only $1. Having said that, you’d be surprised what animation books turn up on the shelf. A quick scour of the shelves in my local branch revealed a copy of Animation Development: From Pitch to Production by David B. Levy which suffice to say, everyone interested in animation should read. With the ever-growing prevalence of the internet, it is easy to say that books are becoming increasingly marginalised in favour of online content and e-books. The fact of the matter is, if copyright continues to grow every more severe and restricting, traditional dead tree books may well be the only way to freely read content without having to pay for it. It’s sad to say, but as far as I know, you can’t borrow an e-book near as easily as a real one.